With over 65 years of experience in the industry, Official Heating and Cooling have developed an outstanding reputation for our residential service with home heating and furnaces, cooling and air conditioners, humidifiers, plumbing and duct cleaning. From emergency repairs to routine maintenance, Official Heating and Cooling’s trained technicians are skilled in providing the prompt and professional heating service you deserve at a price and budget you can afford. At Official Heating and Cooling, our full time sales engineers have over 50 years combined experience designing and installing HVAC equipment.Our 5 step process insures that your air conditioner is sized correctly for your home, insuring that it will provide decades of trouble free operation.Measure and inspect your old system We calculate square footage of your house. Measurements and other data are computed to determine your HVAC loads & equipment sizes. We will show you real world operating costs for different efficiency units as well as our low installed prices! We work with you, answer any questions you may have and make sure to come up with the best possible HVAC system for your budget and situation.All of our installers are seasoned veterans who take pride in their work. We use drop cloths to protect all floors and we remove all old equipment and debris from the job site. As a Carrier Factory Authorized Dealer in Northern Illinois, we focus on home cooling products and systems that work right the first time. 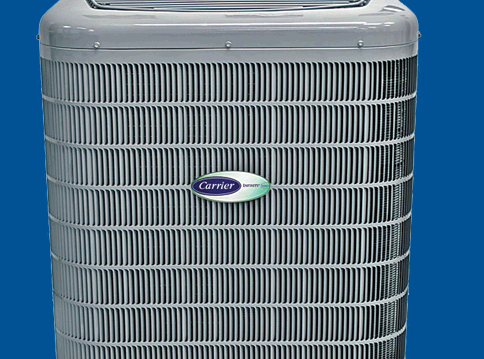 When we sell Carrier central air conditioning products, we are confident we can provide the best comfort, lowest operating cost, and longest service life. 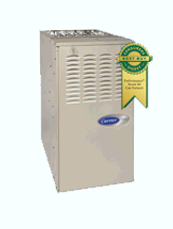 In addition, Carrier offers some of the cooling industry’s best air conditioner warranties and cash back rewards. We are happy to perform central air conditioning system evaluations in your Chicagoland home, and provide a home comfort solution designed for you.To make sure your air conditioning equipment is sized properly, we run a Manual J Load calculation on every job.Carrier’s top central air conditioner is the Infinity. It has an inverter compressor, providing the best in comfort and dehumidification. As a full service heating contractor, servicing the North and Northwest Chicago suburbs, we focus on gas furnaces and central heating system products that work right the first time. As a Carrier Factory Authorized Dealer, we are confident that we can provide the best comfort, lowest operating cost, and longest service life. 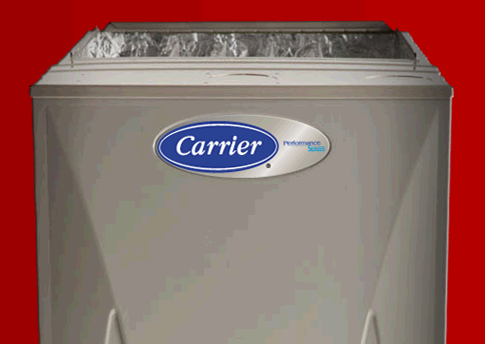 In addition, Carrier offers some of the heating industry’s best furnace warranties and cash back rewards. Many Northern Illinois homes have heating problems. The homeowners sometimes think they “just have to live with it”. In many cases, solutions can be found! Between variable speed furnaces, zoning, proper humidity, and HVAC controls that are easy to use, most common home heating problems can be solved. Carrier Furnace :Whether you have a forced air system (often just called a furnace), or a hot water or steam system, we can provide the equipment and expertise to solve your home comfort problems. No Northern Illinois furnace dealer or heating contractor has a greater ability to meet your home comfort needs at a better price. Official Heating And Cooling also offers furnace maintenance and repair plans to lengthen furnace life and lower the long term cost of furnace ownership. We also have a fully stocked warehouse if you need replacement parts.